Here is an overdue edition. Lately I have been involved with writing two new books. In celebration of their completion, here is my latest newsletter. We have had a very successful series of seminars in 2017. Many have sold out (as is the upcoming November 2017 Yosemite seminar). Some have been presented in collaboration with Ruiz Dental Seminars. Jose-Luis Ruiz DDS is a brilliant teacher and superb clinician from the Los Angeles area. “J-L” does superb hands-on courses that he keeps very affordable. I am a happy graduate of his LA Institute of Clinical Dentistry. Zirconia has seemingly taken over. I think a lot of this is due to the availability of the “$39. Crown” made of unknown sourced zirconia, in a market place where corporate dentistry is taking over, practice profits are shrinking, and new grads don’t have necessary skills or perhaps the time to provide more desirable tooth conserving restorations. Do you know that radioactivity in zirconia ceramics, due to impurities, is a potential hazard? It is well controlled by major manufacturers but what about the others, especially the offshore price cutters? Just wait to see what happens when this info becomes public. It might be even bigger than previous fluoride scares. As most of you know, I am opposed to routine placement of crowns where a previous crown did not exist. Most of the time we have better alternatives, a topic of our current seminars. Crown margins are often placed subgingival to hide the margin, in an effort to make the opaque zirconia look more esthetic in the margin area. 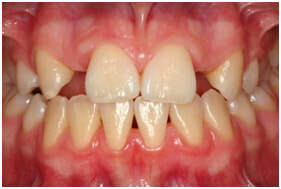 To counter this trend, Jose-Luis Ruiz DDS and I have launched a new series of seminars on supragingival dentistry ( www.ruizdentalseminars.com). 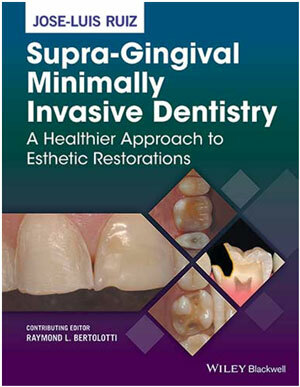 His new book, “Supra-Gingival Minimally Invasive Dentistry”, published by Wiley (now sold at a good price on Amazon), is now available. I am a Contributing Editor. The book includes a summary of our thoughts as well as presenting the techniques in detail. Here is an example E Max restoration taken from the book and a diagram of the Milicich “compression dome” supragingival onlay taken from our seminar. So where should we use zirconia? 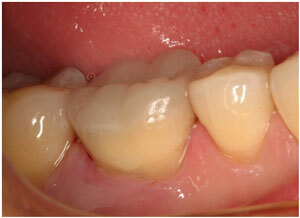 It is a reasonable choice if replacing a full crown but in my opinion, there are usually better choices. For more tooth conserving restorations, it is a dubious choice. When preps are properly designed and bonded, E Max can achieve about 75% of the strength of Y3 zirconia(1). 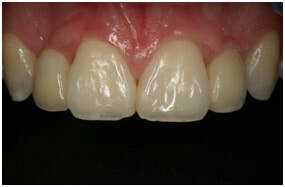 We have high success with bonded E Max, when properly designed, as thin as 0.6 mm on the occlusal. Of course E Max is way more esthetic and also a lot easier to polish than zirconia. Also, it’s easier to bond. FYI, zirconia can be bonded very well, another topic of our current seminars (especially on August 11 at Lake Tahoe where Professor Kern will present zirconia adhesion bridges). 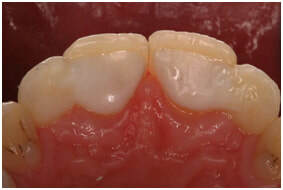 For all ceramic adhesion (almost no pep) anterior bridges, Y3 zirconia is the material of choice (see below). For conventional bridges, it may be a good choice but don’t forget that we have well proven PFM which can be made with ceramic margins. If you do use zirconia as a framework, Noritake CZR Press is the ceramic of choice. It has a much lower failure rate (by chipping off) than the other available ceramics. As you may know, 3M discontinued their Lava veneering ceramic, presumably due to the high failure rate. Professor Matthias Kern of Germany has just published the results of his research in a new book in English by Quintessence. There is also a German edition. I did some editing and translating in the English version. 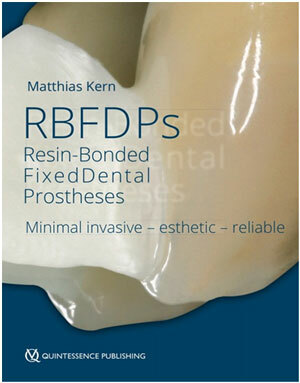 In the book, Professor Kern shows 100% success at 10 years with anterior, cantilevered, bonded zirconia adhesion bridges. That 100% success counts the successfully re-bonded 5% which debonded, mostly due to trauma. There was zero breakage. These all ceramic bridges are much like the metal backed, anterior Yamashita adhesion bridges that I have taught for over 25 years. I have zero debonds out of nearly 200, placed up to 30 years ago! The grooves that I place are not required with zirconia. Kern has reasoned that the grooves stiffen the metal to prevent peeling. Since zirconia is a lot stiffer than metal, no stiffening is required. (Alumina is even stiffer and is more bondable but it breaks.) Bonding is done by the same procedure that I use for metal, that is Microetcher blasting with alumina followed by application of Panavia. Kern has used Panavia 21 which is understandably not about to change, due to his great track record. Personally, I would use Panavia F 2.0 since it is very similar to 21 but light curable at the margins. The light curing also facilitates placement, not having to stabilize the bridge during placement with self curing Panavia 21. The margins must be covered with Oxyguard if using Panavia 21 since they cannot be light cured. (Do not confuse with Panavia SA cement. It is not like 21 or F2.0, not even close. It is not strong enough for adhesion bridges!!) Panavia V looks promising at short term. However I do not teach it since F2.0 has a well established track record of success and V requires separate primers, even on non-precious metals. Professor Kern will be our guest speaker for Tahoe 2018, scheduled for August 11, at the Montbleu Resort in South Lake Tahoe. Fortunately for us, he speaks excellent English. This seminar will be a game changer. 1. Load-bearing properties of minimal-invasive monolithic lithium disilicate and zirconia occlusal onlays: finite element and theoretical analyses. Ma et al., Dental Materials 2013 July:29 (7): 742-751.